The National Publicity Secretary of the Social Democratic Party, SDP, Princess Marian Tolofari has resigned from her position as the spokesperson of the party. Princess Tolofari stated this in a resignation letter made available to journalists on Sunday. She said her resignation and defection to the APC was with immediate effect. “My resignation followed many moths of consultation with my political leader and Minister of Transportation Rt. Hon. Rotimi Chibuike Ameachi and other associates on the need to return to the political tree and family for which I have been associated for many years in Rivers State in particular and in the country. “My pursuits in the SDP have been useful but alienated me from my grass root political movement. 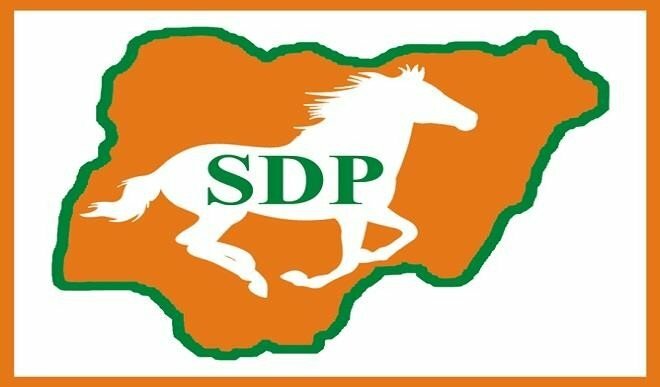 “I wish to thank all those I have associated with in the SDP and wish the party well”, she added. Meanwhile, former Governor of Cross River State, Donald Duke, has emerged presidential candidate of the SDP. The Convention Returning Officer, Dr Abdul Isiaq, said Mr. John Dara, former Special Assistant to Lt. General Theophilus Danjuma, former Defence Minister, scored 104 votes.